Isolated showers before midnight. Partly cloudy, with a low around 35. Southwest wind 11 to 16 mph decreasing to 5 to 10 mph after midnight. 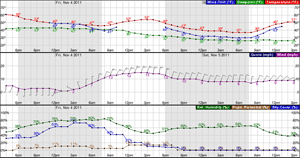 Winds could gust as high as 23 mph. Chance of precipitation is 20%. Sunny, with a high near 53. 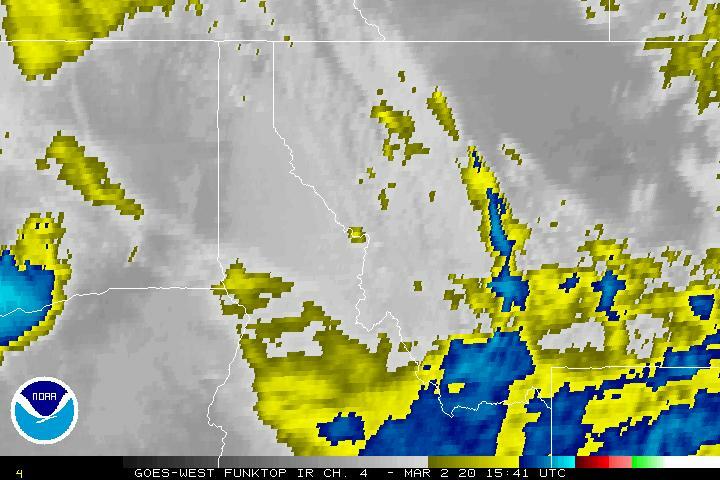 Light southwest wind becoming west southwest 6 to 11 mph in the morning. Mostly clear, with a low around 31. West wind 7 to 13 mph becoming north after midnight. Mostly sunny, with a high near 54. Calm wind. A 20 percent chance of showers after midnight. Snow level 5700 feet. Mostly cloudy, with a low around 38. Light west wind. A chance of rain showers before noon, then rain and snow showers likely. Some thunder is also possible. Snow level 5100 feet rising to 5700 feet in the afternoon. Cloudy, with a high near 49. Chance of precipitation is 60%. Little or no snow accumulation expected. A chance of rain showers before midnight, then a slight chance of rain and snow showers. Snow level 5700 feet lowering to 4900 feet after midnight . Mostly cloudy, with a low around 32. Chance of precipitation is 40%. Little or no snow accumulation expected. A chance of snow showers before noon, then a chance of rain and snow showers. Mostly cloudy, with a high near 44. A slight chance of rain and snow showers. Partly sunny, with a high near 48.